ROBERT T. MONGILLO, B. ARCH. Robert was born a block from Yale University and always had an interest in the arts. Growing up he was inspired by those around him. His older brother, an artistic cousin, and a close friend led him down the road to design and architecture. While attending college in Boston, Rob was taught to problem solve through design. The professors of Architecture at Wentworth Institute of Technology would send the students into the city to study the design of historic buildings. This hands-on approach has shaped how he approaches design to this day. Rob frequently visited his parents in Naples, Florida during his college years. After graduation he made the decision to make a move to Naples which was thriving with new construction. His first job was with a well-known developer who had many large scale projects from Marco Island to 5th Avenue. After three years of on-site construction supervision he turned his focus to design and worked for several well-known award-winning residential designers. 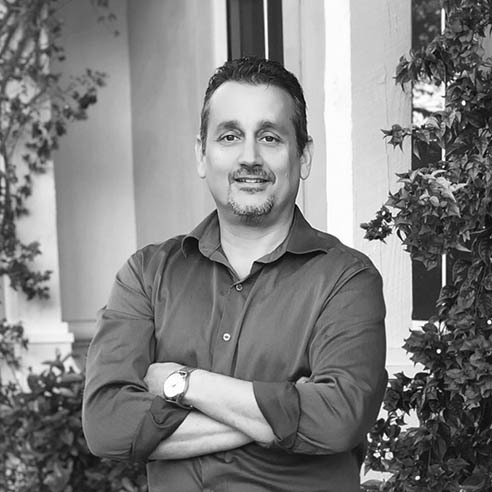 Rob gained valuable experience working on large custom single family homes while afforded the opportunity to allow his design ability to produce projects of distinction for his clients. 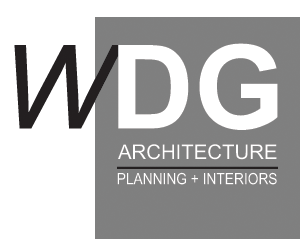 As Principal and co-owner of WDG Architecture, Rob leads the firm in his specialty of doing most of the residential projects. His experience over the years has given him the knowledge necessary to create unique and beautiful residential designs. Rob’s ability to interpret clients’ needs and desires into a home they will truly love for years to come has also allowed him to produce award-wining designs. When not at the office, Rob loves spending his spare time with his family. He thinks having a toddler and a teenager is more challenging than running an architecture practice. When he isn’t with his children or spending time with his lovely wife Samreen, Rob dives deep into his obsession of high-performance cars and tinkers with modifying his own car. Whether its drag strips, exotic cars, local car meets, or learning to turn the wrench on his own car, Rob enjoys a fast-paced work and private life. Wentworth Institute of Technology, Boston MA.